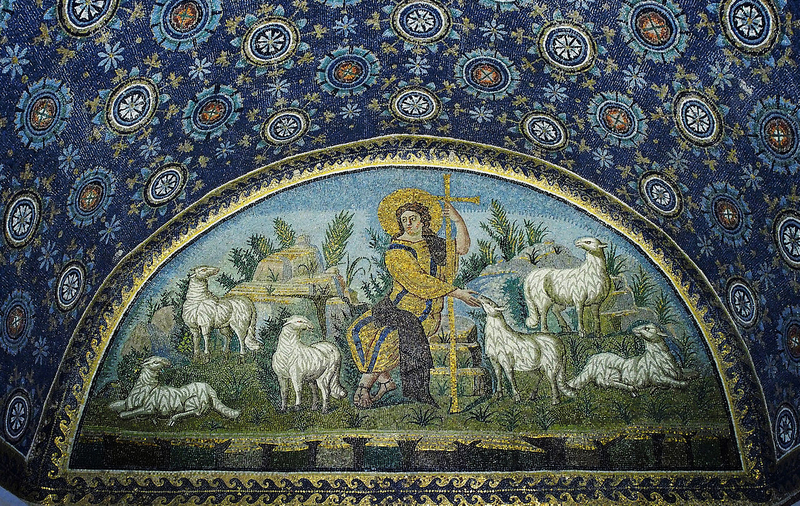 "The good Shepherd" mosaic in mausoleum of Galla Placidia. UNESCO World heritage site. Ravenna, Italy. 5th century AD.